Will users misunderstand “Last week”, “Last year”, “Last month” etc? In my diary iOS app, the user can search their diaries for specific texts. To avoid getting too many results, I added a "Time Range" search option. The user can select whether to only search the diaries of the last 7 days, the last 30 days, the last 365 days or not to have a limit. When the user selects "Last week", it will actually search for diaries in the last 7 days (Jun 14-20), not Jun 12-18. So will users misunderstand this? If they will, how can I change it so that there are no misunderstandings and it can fit on the screen? This is much less likely to be misunderstood than "last year", and is a common way of presenting menus for selecting a time range. For example, the filters for Google search and Reddit's top posts use this exact wording. 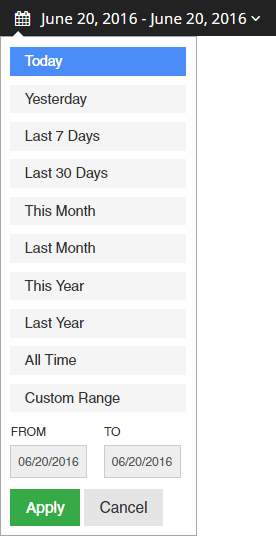 Upon clicking one of the choices from the list, the black bar at the top will reflect the appropriate date range. No past or last. Simple. Understandable. Fit for smaller screens. The dropdown menu is a better idea, and it fits on most screens. Also, you should include a "custom" option. You can't imagine how many people are FRUSTRATED everyday because THERE IS NO CUSTOM OPTION! 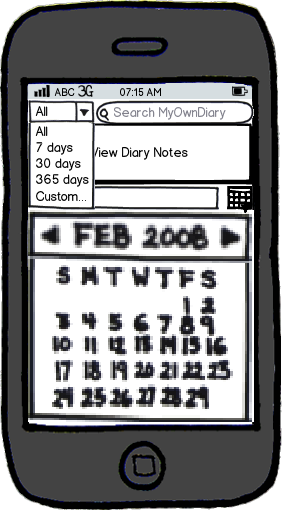 That said, the mockup is an example of a diary app with the dropdown menu. Showing data for the month before the current one exclusively is silly. No one would consider such a feature. As soon as you click on it, you'll see what appears. You may also add the indication of the precise time range somewhere (with actual dates) after the user selects one option. So the user may be confused for a short time, but understand how it works pretty quickly. 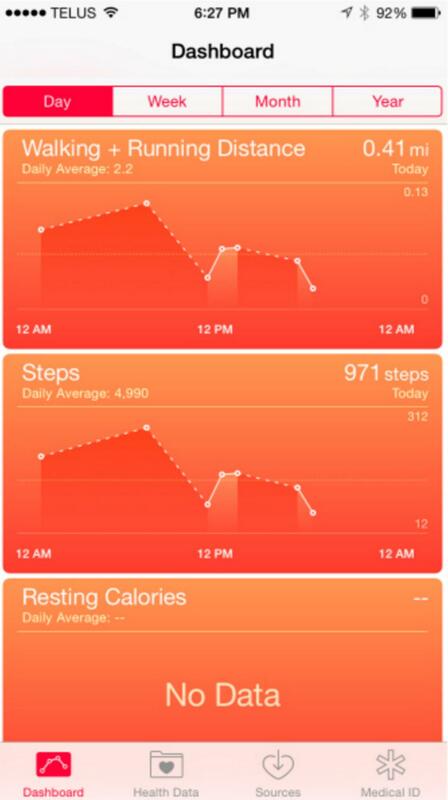 Here's an example of this type of control from a business intel app I worked on. This is used like a semented control across the top of various reports and Dashboard widgets. What you've described may fit your space, but it's semantically incorrect. If it's June and your date control is labeled Last month, that clearly means May. What you're looking for is a way to communicate rolling dates. Expected terminology can change from one industry to the next. As with any facet of your app, you'll want to do some research into what users expect these labels to be. "[# of x] before today"
"The last [# of x] including today"
"Days within the period up to today"
In many scenarios, this or present may be used for Monday through today, 1st through today or 1 January through today. Previous year, previous month, previous week would most likely mean 1 January through 31 December, 1st through last day of May, Monday through Sunday for most people. Use "past year, past month, past week." If you say "last year" and it was 2016, users assume you mean 2015. Using the word "past" implies that you mean rolling days, thus making it much more understandable. The same thing applies for months and weeks. Not the answer you're looking for? Browse other questions tagged dates wording or ask your own question. Dashboard comparing current stats with a week ago — which week?